Traders can exit their long positions on any bounce from here on or they can go short too for the mentioned lower levels. On the other hand, since the major trend is bullish investors are advised to start looking for bargain hunting once the index drift towards 11,200 or below levels. On account of fresh buying by the foreign institutional investors and over 3 per cent gain in the Dalal Street's heavyweight counter Reliance Industries, the Indian indices advanced higher after showing sideways trade in early morning. The BSE Sensex surge 424 points to 38,233 levels while the 50-stock Nifty index jump 129 points before closing at 11,483. The index Nifty Bank rose 600 points to 29,882 level. The State bank of India shares rose around 2.5 per cent, GMR Infrastructure stocks rose over 10 per cent while the Suzlon counter rose around 2.5 per cent in the intraday trade on Tuesday. 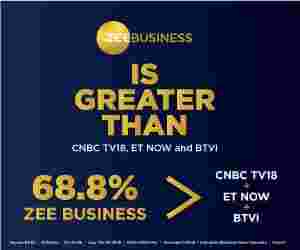 Speaking on the market outlook Mehul Kothari, Senior Technical Analyst — Equities at IndiaNivesh had told Zee Business online in a written statement, "Traders can exit their long positions on any bounce from here on or they can go short too for the mentioned lower levels. On the other hand, since the major trend is bullish investors are advised to start looking for bargain hunting once the index drift towards 11,200 or below levels." Kothari of IndiaNivesh further added, "Till the time, Nifty stays below 11520 level we can assume it is a sell on rise market for the short term." Banking stocks led the bull run on Dalal Street as the BSE BANKEX added around 2.5 per cent from its previous close. Banking major Bank of Baroda surge around 3.1 per cent, shares of YES Bank went up around 2.87 per cent, Kotak Mahindra Bank and ICICI Bank counters had a bull run of over 2.75 per cent, Federal Bank stocks rose around 2.6 per cent while ICICI Bank rose 2.76 per cent. Axis Bank stocks rose around 2.2 per cent. Following the banking stocks closely, enrgy shares too witnessed heavy buying in the intraday trade on Tuesday. The BSE Energy index added more than 2 per cent on Tuesday as energy major Reliance Industries aka RIL shot up around 3.3 per cent, shares of Panama Petrochem jumpo more than 3.5 per cent, Chennai Petroleum Corporation counter rose near 2.7 per cent, Castrol India stocks went northward by around 1.68 per cent while Oil India stock rose around 0.85 per cent. Asian stocks had a mixed trade as US treasury yields sank to its lowest levels since 2017. The Japanese Nikkei 225 index rose around 2.15 per cent, South Korean Kospi nudged 0.18 per cent higher, Hang Seng sank around 0.08 per cent while the Shanghai index crashed around 1.51 per cent.